An inside source in the Nigeria Football Federation has revealed to Soccernet.com.ng exclusively that the move by the Super Eagles technical adviser, Genort Rohr to invite the Premier League duo of Victor Moses and Isaac Success ahead of next month’s FIFA World Cup qualifier against Algeria, have been received with diverse minds. Moses and Success missed the team’s 2-1 win over the Chipolopolo of Zambia in Ndola a fortnight ago, sighting injuries as excuses for their inability to make the encounter. In a published story on Completesports on October 7, the NFF, who were unhappy with the players’ failure to join the Super Eagles, had planned to suspend them for subsequent games. 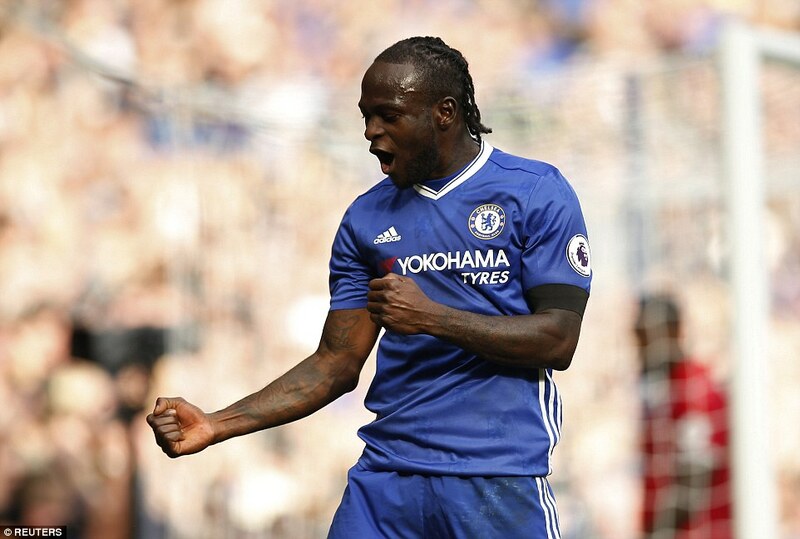 However, with the recent development surrounding the brilliant form of Moses, who scored in Chelsea’s 3-0 whitewashing of Leicester City Saturday’s Premier League and Isaac Success, who had a decent performance in the colours of Watford on Sunday against Middlesbrough, Rohr has indicated plans to invite them for the match against Algeria in Uyo on November 12. The German tactician’s decision has been met with discontentment as the source disclosed that some key members of the football federation are still frowning on the invitation of Moses and Success to the senior national team. “It is true that we want our best players to feature against Algeria but then, a situation where players are not committed and hungry to play for their country, I don’t think they merit to be listed,” he said.